I did the impossible. I got one. I'm surprised William Hill hasn't started advertising on the back of the boxes considering trying to nab a lip kit is pretty much the same as trying to win the lottery. These babies sell out within minutes and there are literal instagram accounts devoted to leaking bits of information about the next restocks. They're the beauty world version of Willy Wonka's golden tickets and trying to buy one will leave you with a broken heart and a headache. Thank's to my hilariously titled 'Gossip Girls xoxo' group chat I was notified of the restock and managed to grab '22' on it's first release but unfortunately by the time I'd added 'Mary Jo K' and 'Koko K' to my basket and proceeded to checkout they'd both sold out. With the fear of losing 22 in my heart I punched in my debit card numbers and hit 'checkout' so fast that I can't actually remember doing it. You bet that I checked that tracking information every single day from that day on. I was so excited for my lip duo to arrive that I had dreams about me wearing it (I'm not even kidding). Once my tracking info was telling me that my box was in the UK I was jumping at every knock at the door but as my name is pretty much Miss lucky I got hit with a customs charge of £12 and had to wait another couple days for it to be redelivered. However things for me can never be that simple and I had further problems where the box went missing so (as you do) I rang my mum to complain about the situation and she managed to nab me 3 more colours as she's pretty much Superwoman in disguise. She got me another '22' in case my original didn't show up (hence why I have 2 in the photos as my original appeared magically at my house a few days later), 'Koko K' and 'Kourt K' (which hasn't been delivered yet). Opening the box was a magical experience. I don't think my lungs have ever been introduced to that much oxygen since birth. Obviously the first thing I did was spend half an hour applying it to my face just so that I could walk around my house feeling glam. The formula of the liquid lipstick honestly shocked me at how thin and easy to apply it was. I'm not usually a huge fan of liquid lipsticks as I feel they're really thick and uncomfortable to wear but the Kylie one's almost feel oil-y to apply (which sounds scary but it's more like the texture of vaseline). They're extremely pigmented and I only ever need one dip into the tube to do my whole lips. You may have heard that these are the best on the market, but they actually are. I'm so so so impressed with the formula of these and now I want every single shade. The lip pencil is that... a lip pencil. It's creamy and pigmented but I don't think there's anything mind-blowing about it but I'm yet to find a lip pencil that does that to me however it is nice to have a lip liners that exactly match my (now favourite) lipsticks. Kylie's lip kit costs $29 (around £20ish) plus $14.95 (£11ish) for international shipping. £20 for a liquid lipstick and lip liner is pretty good going in my opinion, considering I'd usually pay around £16 for a lipstick alone (mac) so if I was in the US I think I would have ordered pretty much every shade but unfortunately the shipping and customs charge meant my original '22' cost me around £40 (yikes). Also be warned that I've heard of custom charges anywhere from £12 to almost £30 but it really is luck of the draw on if you get charged or not. There are many genuine sellers on eBay and Depop but they're those annoying people who order 100 at a time and are the reasons it's near impossible for us to buy any on the actual website so it's up to you if you condone that or not. Overall these get two thumbs up from me and I'm really excited to try more shades. 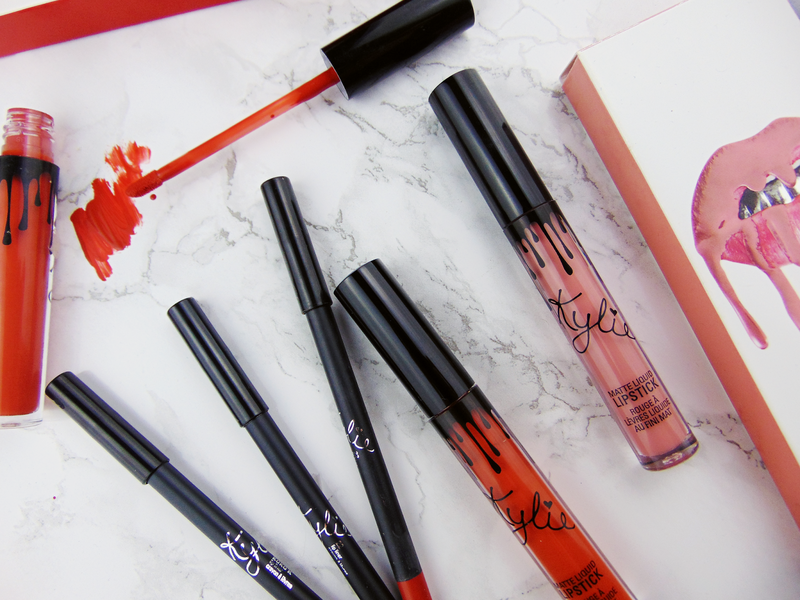 Since the release of Kourt K Kylie has also released 3 glosses (Like, Literally, So cute!) and 3 beautiful metallic mattes (Reign, King K and Heir) so my mum and I have ordered a couple glosses and I managed to grab Heir which I'm super excited about receiving. 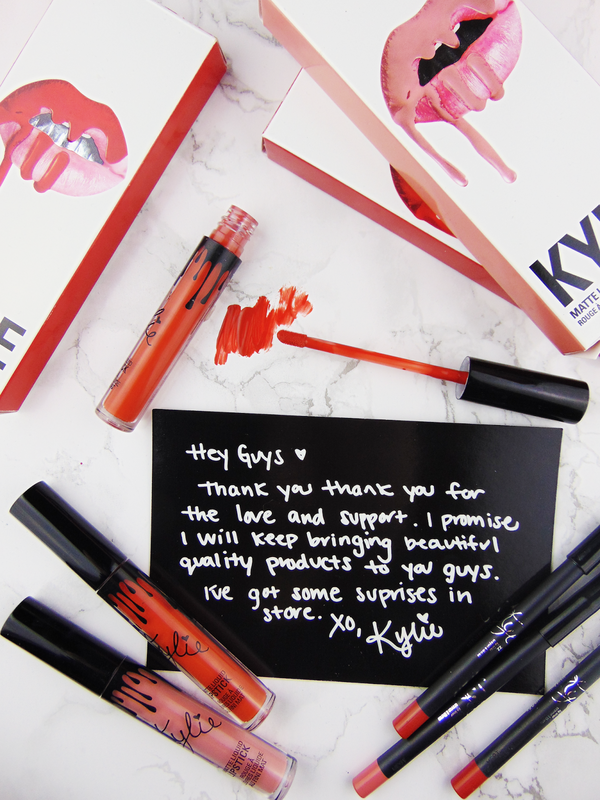 Have you tried these lip kits? What colours are your favourites?